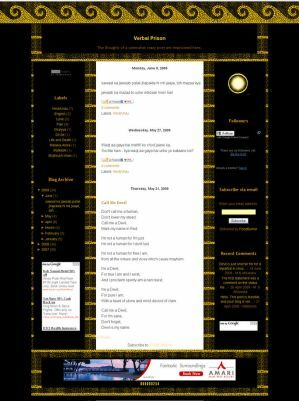 This is a beautiful 3 column blogger template bringing out the beauty of the Black and Gold Combination in a rather classical look. It is ideal for bloggers who write poetry or some other literary pieces. It can also be used for normal personal blogs and professional blogs.